Sea Of Class is proving to be most aptly named. Unraced as a two-year-old, she is thriving on the patient approach adopted by her trainer William Haggas. The daughter of Sea The Stars, a half-sister to numerous winners, suffered a narrow defeat on her debut over a mile at Newmarket in April but has been on the up and up ever since. 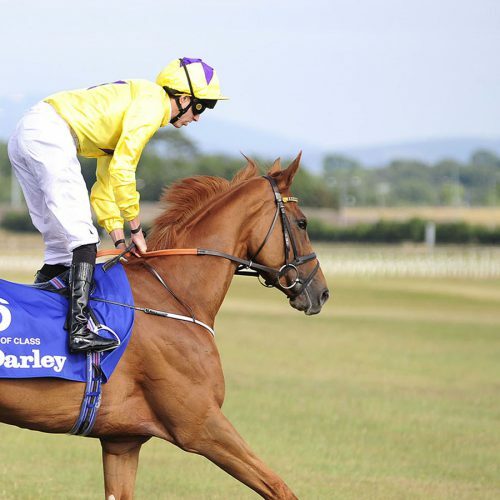 After successive Listed wins at Newbury, in May and June, she was fast-tracked to Group 1 company and swept from last to first under James Doyle, who did not use his whip at any stage, to win the Irish Oaks at the Curragh by a neck from Forever Together. It was a similar story when she followed up against seven rivals in the Darley Yorkshire Oaks at York to win by 2¼ lengths from Coronet. Again, Sea Of Class came from last to first – quickening smartly when Doyle invited her to put her stamp on the race under hands and heels. Haggas said: “You always hope they are going to do something like that, but she really was impressive. She was the best of the lot. Reflecting further on the manner of the victory, Haggas said: “It’s a front-runners’ track here, but she was devastating. “She didn’t half pick up when he asked her. I thought she looked better today in the paddock. I thought at the Curragh you could see every rib. You could see a couple today. She’s doing really well, this filly. Doyle had told Champions Series before the York race: “I always thought I was going to get there [at the Curragh]. I was a little bit conscious of the [mile and a half] distance but she’s got a devastating turn of foot, so I don’t think she’s one to be in the mix early. She likes to relax, chill out in the early part of a race and then come home really good. Sea Of Class was supplemented for the Arc, at a cost of 120,000 euros, and confirmed herself an outstanding talent in finishing a short neck runner-up the mighty Enable. Drawn out wide, she was dropped out last by Doyle and was still a long way off the pace rounding the home turn. She rattled home once in the clear to set up an epic finish, but Enable had just enough in the tank to repel her. Haggas said: “She’s got beaten by a champion, Enable is a great horse.